A few months after Trump’s inauguration, an attorney appointed by the president to a top post at the Justice Department produced a memo in which he outlined the administration’s views on congressional oversight. The memo stated simply that, because Democrats were in the minority, they had no legal authority to conduct oversight of, or demand documents from, agencies such as the Federal Communications Commission (FCC)—at least, not without the express consent of their Republican counterparts. The FCC’s chairman, Ajit Pai, seemed to take this advice to heart. For the administration’s first two years, he rarely responded to requests for information from Democratic lawmakers. Pai ignored, for example, inquiries over why his agency fed Congress misinformation about fictitious cyberattacks first reported by Gizmodo. Accordingly, several Democrats admonished Pai over what they called a “lack of candor,” accusing him publicly of intentionally stifling efforts to shed light on his agency’s work. Republicans, meantime, backtracked on a promise they’d made to hold quarterly oversight hearings. Nothing good, as they say, lasts forever. In a letter to Pai on Monday, a pair of House Democrats, who now helm a committee and subcommittee charged with overseeing the FCC’s work, made clear that any avoidance or obfuscation would no longer stand. “Under your leadership, the FCC has failed repeatedly to act in the public interest and placed the interest of corporations over consumers,” the letter reads. The hearing will take place Thursday, Feb. 7, at 11am. 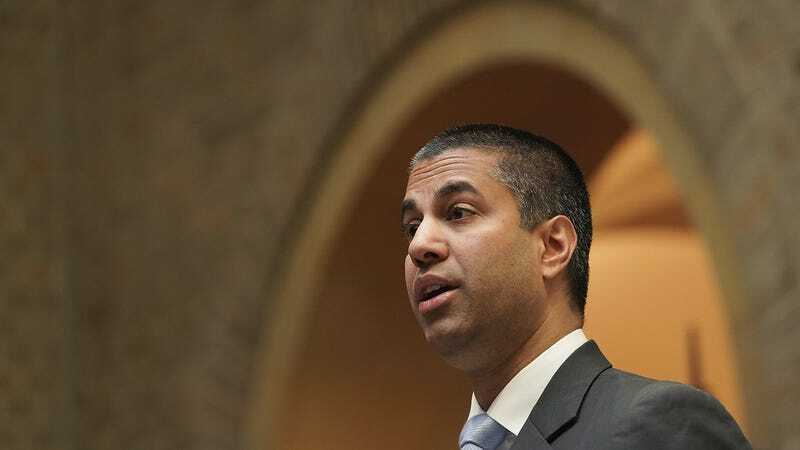 The witness list includes former FCC Chairman Tom Wheeler, now of the Brookings Institution; Jessica Gonzales, senior counsel at Free Press; Mozilla Chief Operating Officer Denelle Dixon; and Michael Powell, president and CEO of the Internet & Television Association, which represents a large swath of the telecom industry.